This is one of those ‘you had to be there’ moments, but I’ll tell you anyway. A colleague of mine managed to get a fishbone stuck under his fingernail, causing it to go septic. This sparked a rather raucous conversation about the fish equivalent of Spiderman. 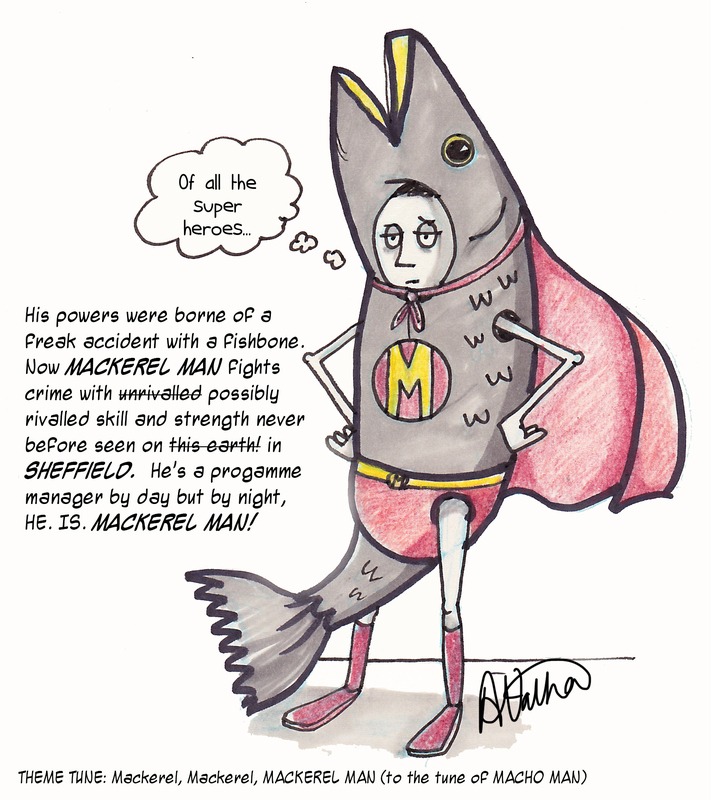 It started out as Sardine Man, with the ability to fit into tight spaces but I thought Mackerel Man had a better ring to it (and theme tune). My father in law has an age old tradition that started many years ago when his brother forgot his birthday. As the story goes, the brother was reminded of his lapse in memory whilst they were out shopping and not wanting to lose face, grabbed the nearest card he could find and handed it over. 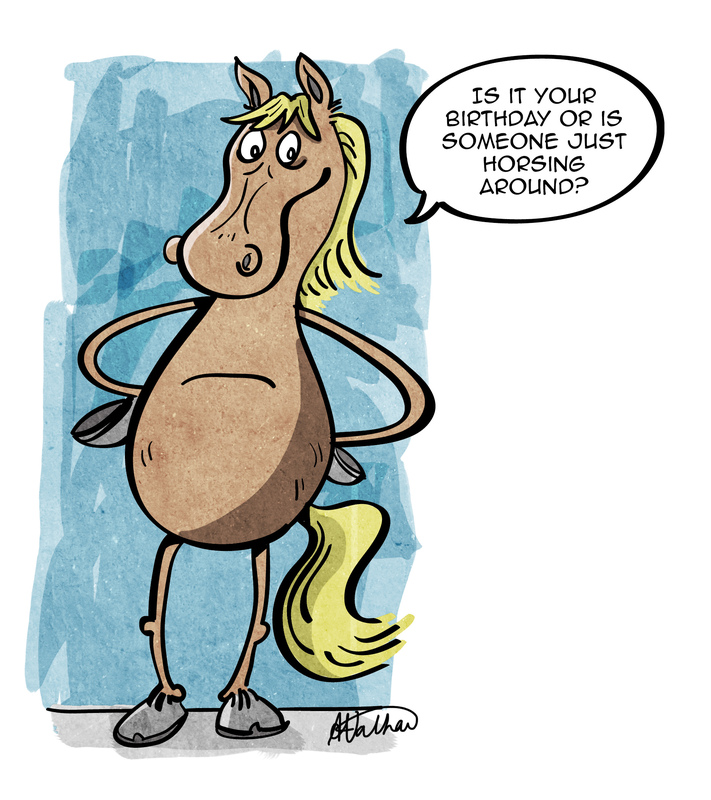 The card happened to feature an ugly, googly-eyed horse and from there on, the horse card was sent (unopened and still in its plastic wrapping) back and forth between the brothers for 20+ years. Until, one sad day, it was lost. 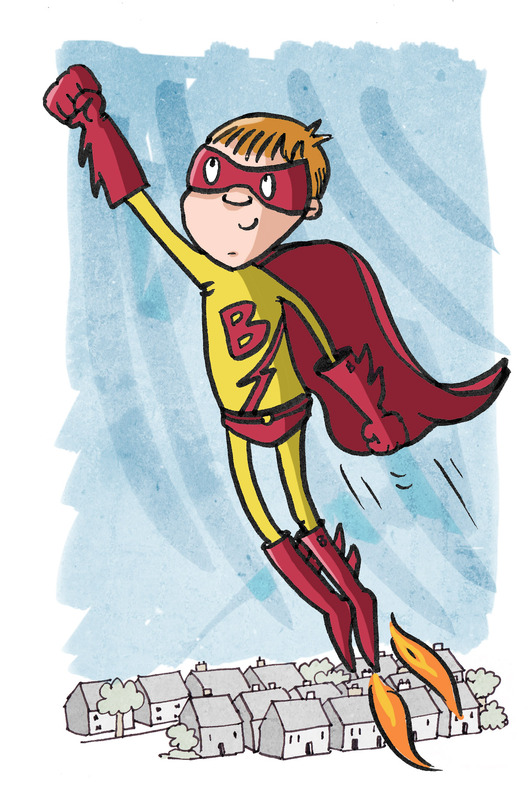 But not to worry, I was asked to quickly sketch a horse as a temporary stand in! This happens to me most Friday’s. Today was no different. I just can’t resist an invitation to be sociable!! !